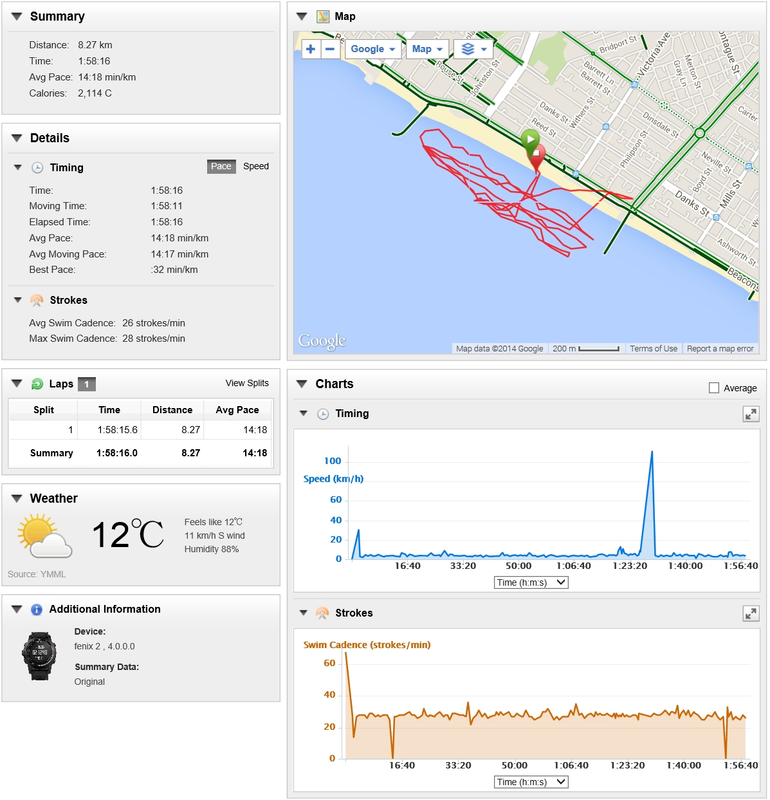 Had a nice swim this morning at South Melbourne between the Port Melbourne and Kerford Road Piers. Conditions weren’t perfect with a bit of chop but I managed to swim for around 1 hour in the dark then another hour after the sun came up. The biggest difference between Port Melbourne and South Melbourne is the ability to sight the course. The distance between no boating poles at Port Melbourne is around 200m. At South Melbourne its around 600m. There are also a lot more lights visible at South Melbourne which makes it hard to identify one to line up with. Early on I was swimming fairly close to shore and as you can see, zig zagging quite a bit as the current pulled me around. When the sun came up, I moved off shore a bit and swam between the poles. Planning on backing this up again tomorrow morning at Port Melbourne.